A bird found dead in Cambria tested positive for West Nile Virus, the California Department of Public Health announced today. This is the first confirmed case of West Nile Virus in San Luis Obispo County for 2011. West Nile Virus has been detected in 20 other counties in California since the beginning of the year, with human cases occurring in two counties bordering San Luis Obispo; Santa Barbara and Kern counties. The first human case of WNV in the state was detected in Santa Barbara County in July. West Nile Virus is transmitted to people by the bite of an infected mosquito. Mosquitoes become infected when they feed on infected birds and can then transmit the virus to other animals and humans. 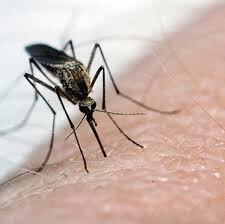 Approximately 80 percent of people infected with West Nile Virus will not show any symptoms. For those persons who do develop illness, they usually begin experiencing symptoms from five to 15 days after they are bitten by an infected mosquito. Symptoms may include fever, headache, body aches, while a small number may develop severe illness. To report dead birds or squirrels, call the California State dead bird helpline at 1-877-968-2473. I know this must be serious, but I had to chuckle at the “dead bird hotline” – a pigeon hit my garage door and wobbled in… I set him outside, where he still sits – he might be dying. Should I call? R0y, No, you shouldn’t call yet. That would be wasting those poor peoples time. After all it is California State DEAD BIRD helpline and I’m sure the phones must be ringing of the hook. Best wait incase the little fellow makes a full recovery. If he doesn’t, then by all means make that call. I had no idea Ca had a “dead bird helpline” ! Is it with abundance of caution or serious concern to establish a “bird” helpline to prevent spread of life threatening illnesses in our State?